But for many back here in Algeria, Daoud was already a known quantity. Born outside the western city of Mostaganem, Daoud first came to prominence in the 1980s as a local rising star in the Islamist wave then sweeping the country. 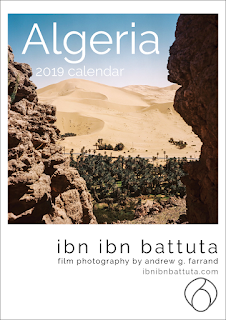 But he abruptly quit the movement at 18, then drifted away from his once-fervent faith as he forged a career as a reporter amid the civil war that enveloped Algeria in the 1990s. In later years, through his column for the Quotidien d'Oran, he emerged in liberals' eyes as something of a secular prophet—an eloquent humanist uniquely equipped to expose and dismantle Islamists' hypocrisy and logical fallacies, while also confronting Arab nationalists, chauvinists, and various other absolutists. For traditionalists, meanwhile, he was merely a preacher of "self-hatred". Across Algeria (and, to some extent, in the larger francophone world) Daoud's stances earned him adoring fans and fierce critics—some of whom even called for his death. Then, in January 2016, his newfound stardom was eclipsed by controversy when Daoud stepped deep into a triad of hot-button issues: sexual violence, migration, and Islam. In summary: Amid a tense debate around the ongoing refugee crisis in Europe, German police and media initially blamed Muslim refugees for a wave of sexual assaults on women over New Year's Eve. Daoud penned a column in Le Monde and another in the Times hastily decrying the acts as evidence of the perpetrators' culturally ingrained sexual frustration and unwillingness to assimilate and "accept the social contract of modernity". (Meanwhile, the facts on the ground were emerging as more complicated than initially reported.) A group of academics published a response accusing Daoud of "recycling the most well-worn orientalist clichés". Other critiques followed, painting him as an "Islamophobe" or a naïf playing into the hands of right-wing anti-immigrant parties in Europe. Ultimately, Daoud penned a response in which he admitted to minor regrets but renounced little, noting that the righteous academics criticizing him did so from comfortable cafés far from his daily life here in Algeria. He closed by announcing a withdrawal: he would cease his journalistic activities and focus on other projects. Daoud's retreat proved temporary—and thankfully so, given how refreshing his rare voice of common sense is here in Algeria. 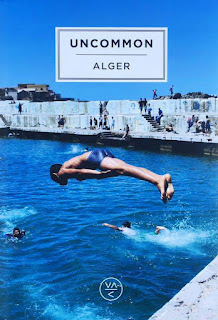 He has remained a prolific writer in the past three years, publishing two books and returning to his columns with the New York Times and other outlets in Algeria, France, and elsewhere. I read the original "All books are sacred" text earlier this month and immediately inquired about the possibility of translating it. In the sprawling piece, Daoud touches on a wide swath of issues: migration, identity, Orientalism, dysfunction in his homeland, insensitivity in the West, colonialism, literature—and even the Cologne controversy. 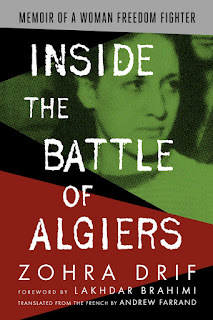 Although I struggled to do justice to his elegant, intricate French prose, even the English translation should provide much food for thought—particularly for readers fascinated, as I am, by the profound questions that permeate daily life and current events in Algeria and the Mediterranean at large. To such questions, a thinker as astute as Daoud never fails to propose thought-provoking answers.